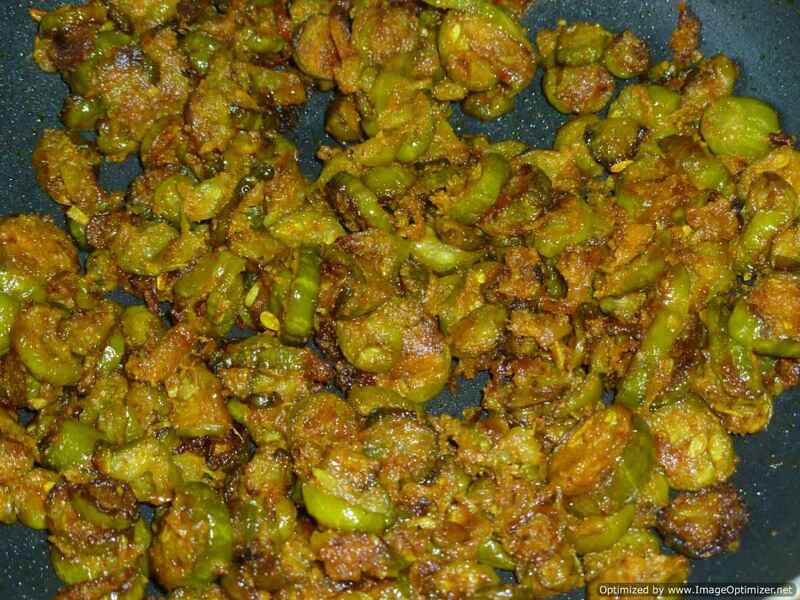 The stuffed green chilli with coconut and garlic, is so delicious and simple to cook, it goes well with any dal and plain rice as a side dish. 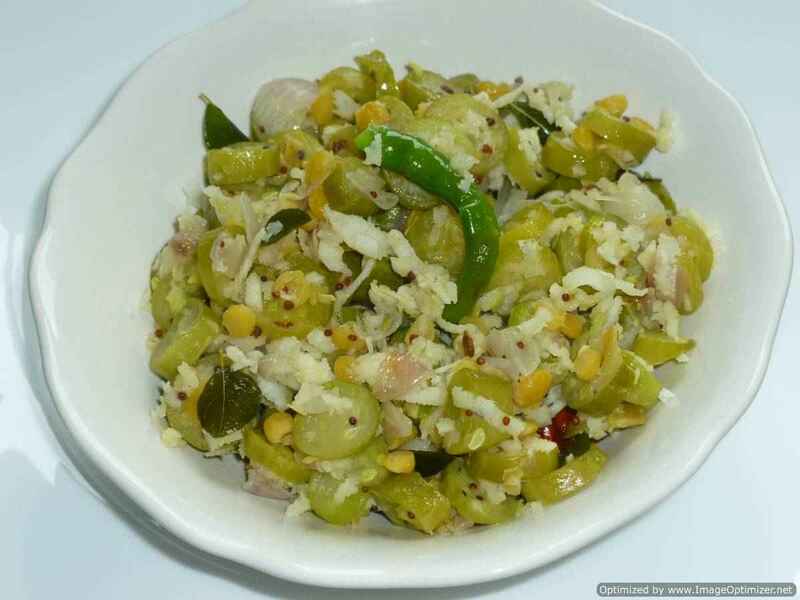 If there are no vegetables at home for making side dish or you want to have spicy side dish for your meal, then this stuffed green chilli goes well for your lunch or dinner if having plain rice. I have taken normal chillies long green; can take long thick chillies which we use for pickle (which are mild or medium heat). In winters, when you serve these chillies, you will not feel the hotness of chillies also. The people who eat hot and spicy, you can prepare and taste it. It is very easy to prepare. 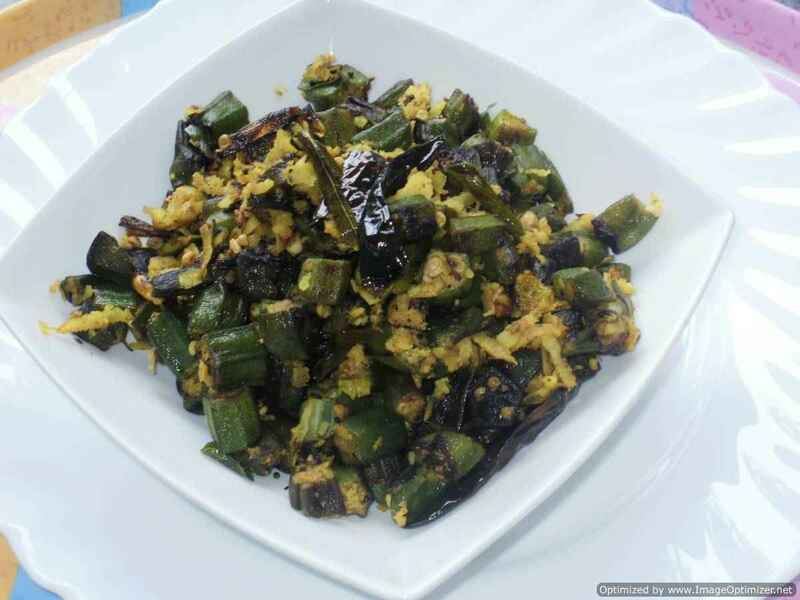 Slit the green chillies and remove few seeds in it or can remove all, if you do not want to be spicy and keep it ready. Grind grated coconut and garlic cloves, salt to a coarse powder, keep it ready. The mixture will not be dry; it will be wet because of garlic cloves and salt. Stuff the coconut mixture inside the chillies and press the chillies well, so that it does not come out, while frying. Try to press on the sides of the slit, so that it is closed lightly. Preheat the kadai or tava, with 1tsp oil, when hot; place the chillies, one by one and cook till its colour changes to golden colour on one side. Turn the other side slowly and cook on medium flame, can close the lid and cook. 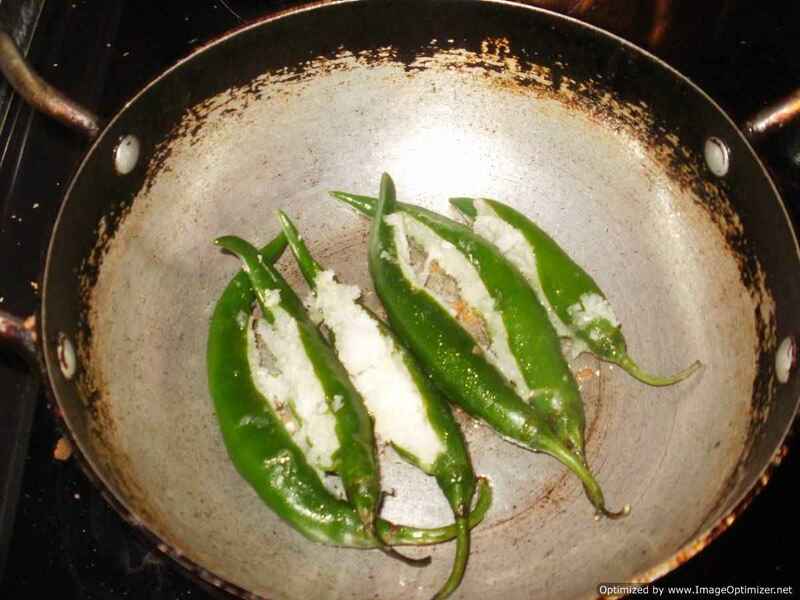 Add oil in between on the corner sides and sprinkle little water to make the chillies soft otherwise you can avoid water. While turning, if the stuffing comes out, it’s okay. Switch off when done. 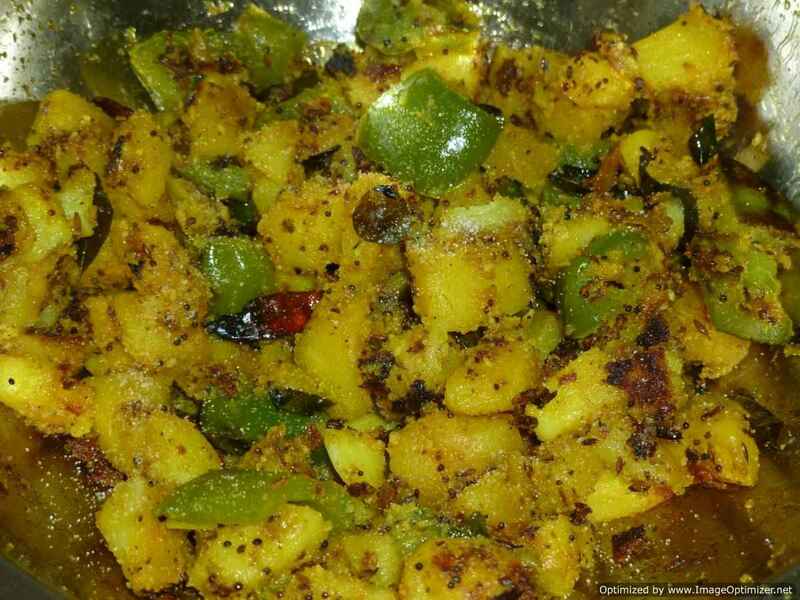 Serve with plain rice and any dal. 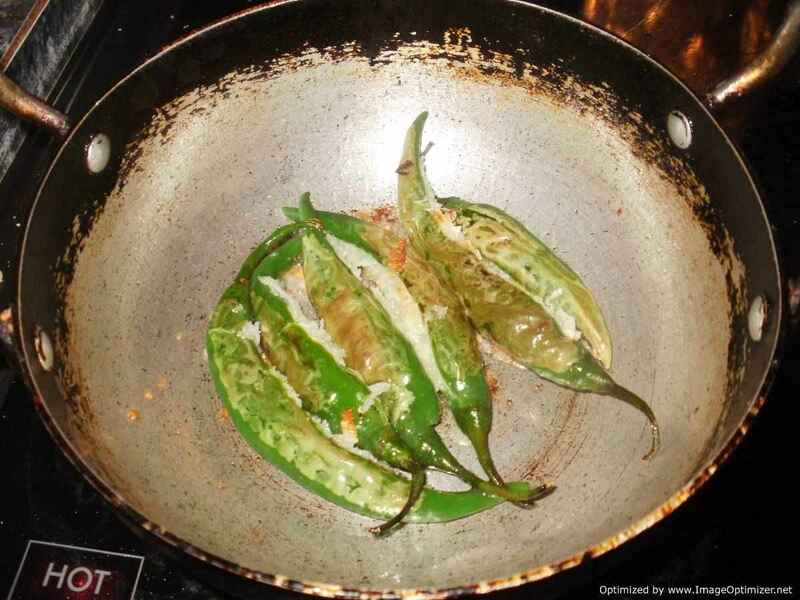 Do not turn the chillies frequently; otherwise the stuffing will come out. 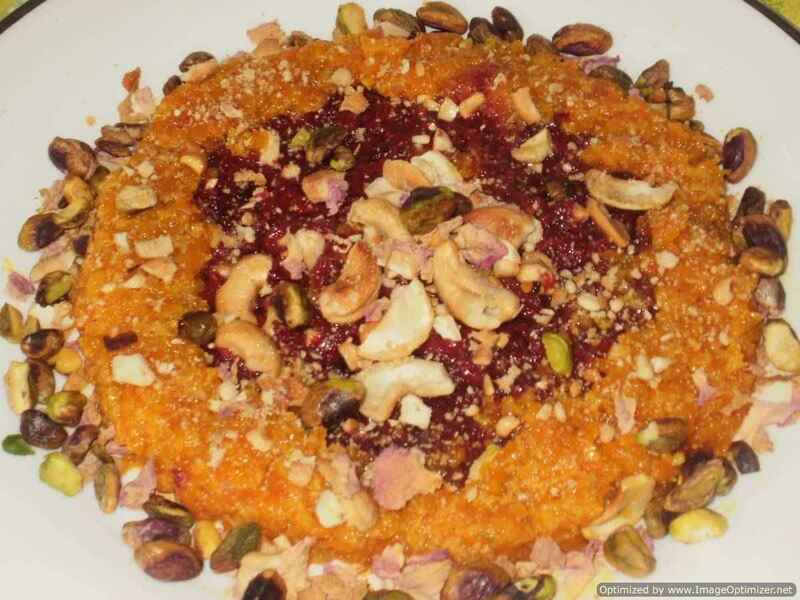 You can prepare with dry coconut also, the taste will defer. Slit the chilli very carefully and stuff coconut mixture in and enclose properly , press on both sides. 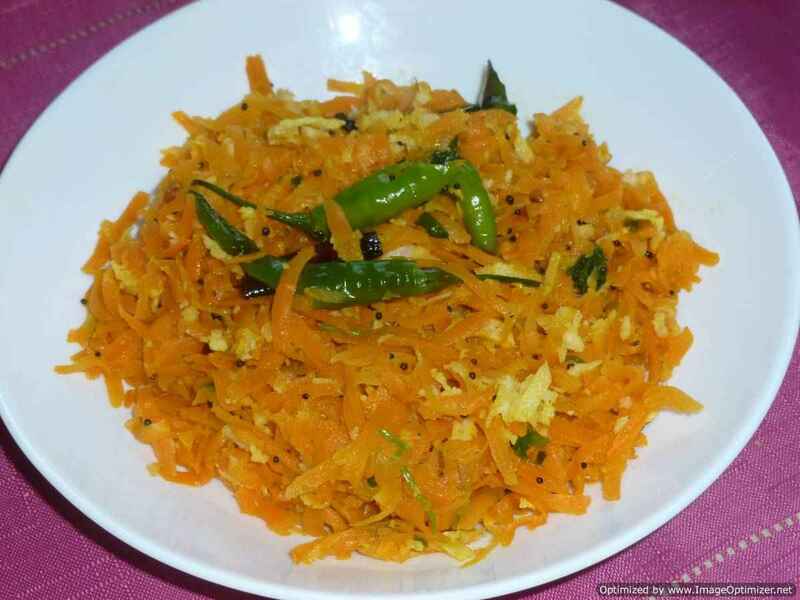 You can use the remaining coconut mixture in the stir fries, just sprinkle in the end like okra fry, potato fry, carrot fry and many more(poriyal). 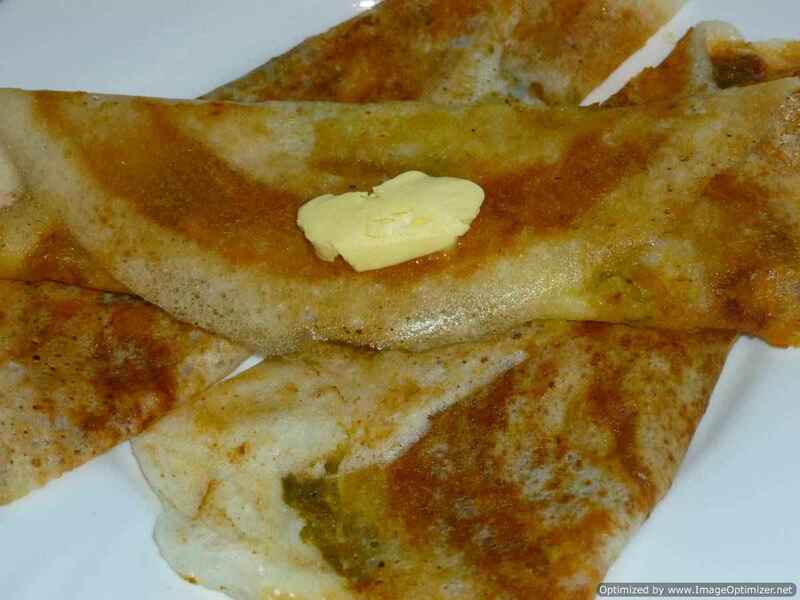 While frying the chilli , first fry the slit side(stuffed coconut side)on the tava, then turn and cook the other side.